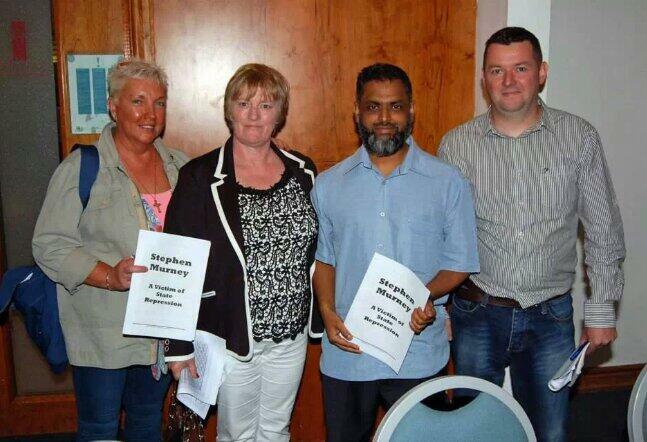 I am missing the presence of Moazzam Begg as an important contributor to the daily political debate on terrorism and counter-terrorism on social media. A message came through earlier this week which concerned but did not surprise me, it read, “Moazzam has been arrested on suspicion of Syria-related terrorism offences, in the West Midlands along with a man age 36, a 44 year old woman and her 20 year old son.” Turning on the news, a police spokesperson confirmed that counter-terrorism police were searching their three homes and vehicles and electronic equipment had been taken away for forensic analysis. I first encountered Moazzam several years ago at Newcastle University where he was a guest speaker and listened in horror and incredulity as the former Guantanamo detainee recounted a tale of capture, torture and imprisonment at the hands of state agencies only to be released without charge after 3 years at “Gitmo”. 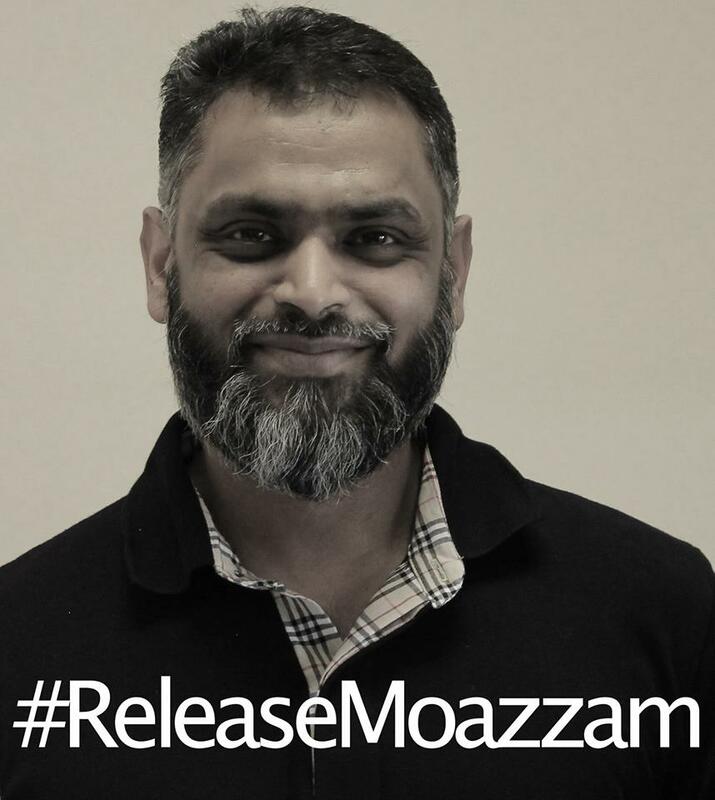 Later I discovered that Moazzam was not an exception, 86 out of 166 detainees had been cleared for release (some years before) but were still languishing in captivity waiting to be set free. Moazzam is a well respected human rights activist whose work takes him around the globe, helping to resettle former detainees, unearth evidence of torture and “black sites” (secret prisons) and support those that are oppressed including former prisoners in Northern Ireland. After listening to his lecture, I began to follow Moazzam’s work at CagePrisoners (now CAGE) an independent advocacy organisation “working to empower communities impacted by the War on Terror”. Through his writing and campaigning I connected to individuals and their families whose human rights had been severely violated, often for simply being Muslim and made new friends along the way. My fellow activist comes across as a voice of reason in unreasonable times, a man of compassion in a world of increasing paranoia and hatred, a source of valued information who stands out from the peddlers of propaganda and false narratives. He is a man who befriended some of his former guards at Guantanamo and has not given in to bitterness and revenge. Moazzam chooses to educate and promote tolerance and understanding across diverse communities in accordance with the teachings of Islam. Brandon Neely, former guard at Guantanamo, from Texas, had this to say on learning of Moazzam’s arrest, “knowing Moazzam at this moment he is more concerned about others' welfare than his own.” I recall his genuine concern one day that a brother with disabilities who had gone through a great deal of torment during detention might not be able to find a wife and how that situation might be rectified. It was Moazzam who helped to highlight the story of “enforced disappearences” in Pakistan, a campaign led by a brave activist, Amina Masood Janjua (Defence of Human Rights) who has spent years trying to locate her husband and his friend that went missing from a bus in 2005. I felt my own personal connection to Moazzam as someone that has participated in cross border litigation against the state myself with regard to the unlawful killing of two of my family members. My personal experience included being threatened as a widow, faced with unsuccessful attempts to bribe me and presented with a “hush clause” to try to secure my silence. Therefore I understand very well the effort put into suppressing those who oppose wrongful acts albeit through peaceful advocacy work, litigation and non -violent protest. At times it seems British counter-terrorism policy borders on the ridiculous a fact not lost on Moazzam who has managed to maintain a keen sense of humour and irony. I recall with amusement several of us debating the extent to which fish and chip shops in Scarborough might be the subject of a terrorist attack. The owner of two of these premises, Mr McGregor having received a letter warning his properties might be at risk, stated. Given some of the absurdities of counter-terrorism policy it came as no surprise to learn that our friend has once again been detained. Moazzam was in contrast to Mr McGregor (who was simply trying to batter his fish) working on highly sensitive material investigating British complicity in torture, connections to Syria, Kenneth Clarke and his secret courts and challenging the latest anti-terrorism reports and strategies. We live in an age where it seems our every move is under surveillance, journalists face terrorism charges for honest reporting and political dissent far from being accepted as freedom of speech is criminalized. 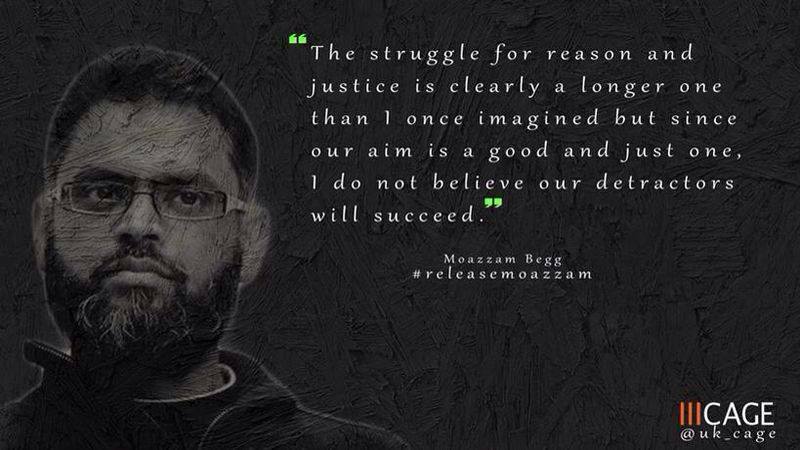 Moazzam Begg, wallahi I’m thinking about you akhi. May Allah SWT return you to us, and if not, may He grant whichever. I’m tagging you in this message, because I am hopeful in Allah that you will be released, if not now, place you are in a sanctuary from the evil actions of our oppressors. Even detained, you give us confidence every single moment we remember you because you taught us to be true to ourselves and our principles. Then it will be at a time when you will know that Inshallah we never gave up on you while we had breath in our lungs. Having spent the last ten years of my life in your company (even when you were a cause in GITMO) I feel like I much better understand how to defend not only the honour of those oppressed, but at the same time my own. May Allah SWT reward you and your family, and make you among the first to cross the siraat with the anbiyaa and siddiqeen, ameen. 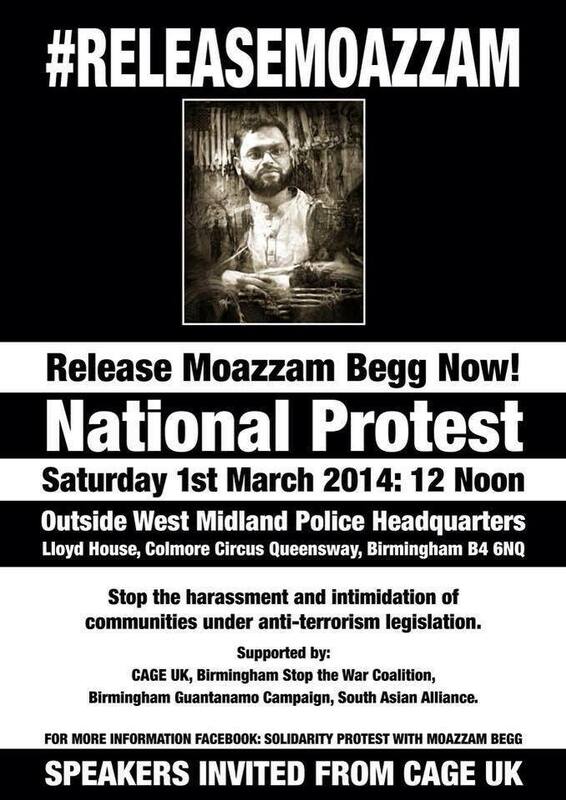 I wait to see what will happen when the time for questioning Moazzam in custody has lapsed. My prayers are for his family that have endured so much already. In the meantime, those that know Moazzam will fight for our friend as he would do for us, we are missing a special brother.